San Giovanni district is a suburb area in Napoli. Though overlooking the sea, the railway prevents direct contact with the sea. 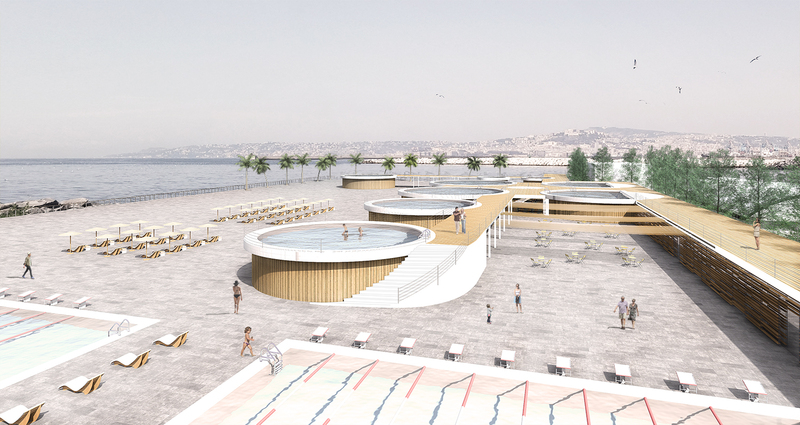 Our overall masterplan includes new accesses, a new seafront, the new Sport Centre, restaurants, the central Great Terrace, a sub-tropical garden, and a water-play area. The site, on the beautiful Bay of Napooli, has ageing old water treatment plant infrastructure and redundant industrial buildings needing demolition. Asphalt carparks dominate. 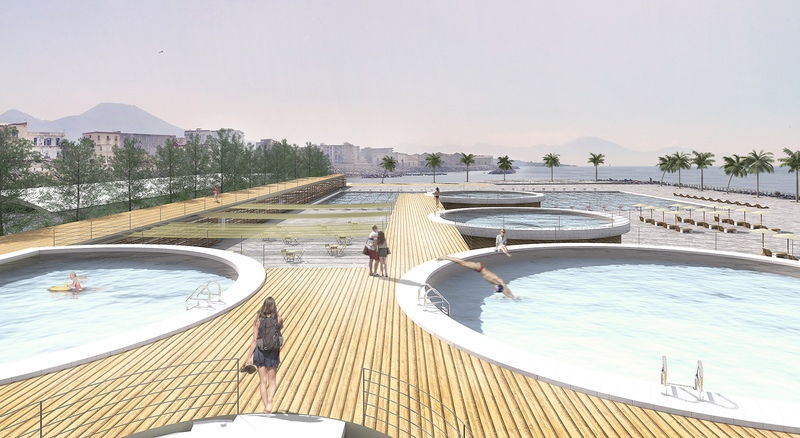 Our masterplan converts it from a restricted precinct to a sport and recreation one.